"Ed Sullivan on Jack Benny Program"
The Talk of the Town, which was eventually officially renamed The Ed Sullivan Show, was arguably the greatest program ever on network television. It was a fixture on CBS Sunday nights for 23 years, but it got its start almost by accident. Ed was called upon to MC the 1947 Harvest Moon Ball for The New York Daily News, and without telling the host, the event was televised. Not that it mattered much, very few homes had TV sets at the time, but CBS recognized it as good entertainment and hired Ed to host the variety show. Ed Sullivan was so important to the history of TV that it is easy to forget that he had a career before he appeared on the small screen. Edward and Daniel Sullivan were born twins in Harlem, 1901. Dan was a sickly baby, and only lived a few months. Ed, however, was more than vigorous for two. As a youth he enjoyed all sports, especially boxing. He followed this passion into a career as a sports reporter for a variety of New York papers, until he wrote a piece about Broadway that caught the eye of The Daily News in 1931. About the same time, Walter Winchell was leaving The Daily News for the Hearst Syndicate. Ed’s column, Little Old New York, focused on Broadway events, news and rumors. Ed also took to reporting entertainment news on the radio. He was also part of entertainment news. Ed appeared on the MGM promotional program Good News of 1938 when Fannie Brice sang the song “Hollywood”, which Ed had penned. Mennen Shaving products sponsored a news program on CBS with Ed as the host, reporting from the 21 Club during the mid-40’s, bringing an interesting slant to War news. The next summer he was a substitute host of Vox Pop, interviewing servicemen and their wives. Critics and impressionists had a good deal of fun with Sullivan’s deadpan, almost wooden delivery on TV. 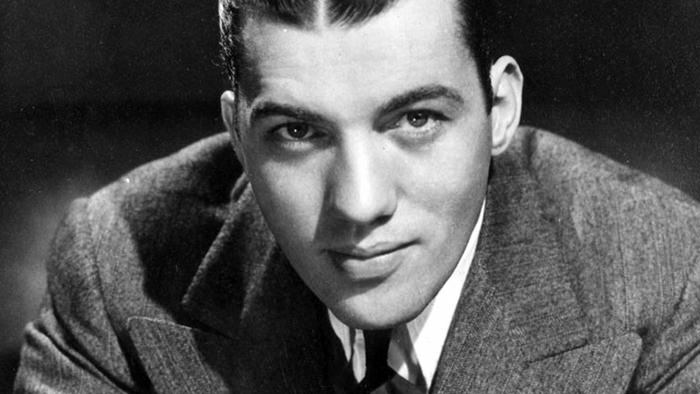 Fred Allen said that Ed Sullivan would last “as long as someone else has talent”, and Alan King quipped “Ed does nothing, but he does it better than anyone else in television”. However, Ed shows considerable comic chops in three guest appearances on The Jack Benny Program. 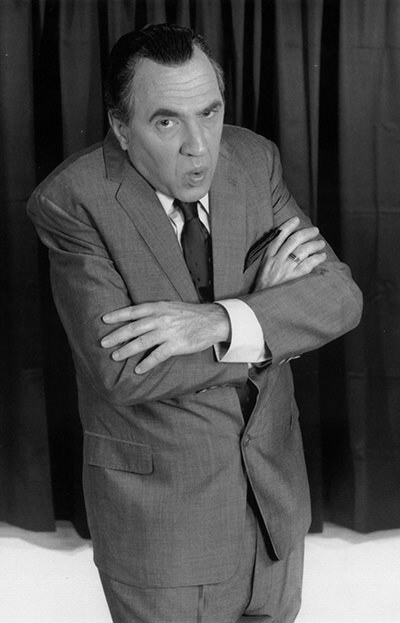 Ed Sullivan ran his TV show with an iron hand, unabashedly editing performances that he felt would offend his audience. When Elvis appeared for the first time he was only shown from the waist up, and Ed told several rock and roll acts to change their lyrics for family viewing. However, Ed was also a huge proponent of civil rights and bucked the establishment by featuring African American acts on his show. He helped to popularize the artists of Motown Records with white audiences, and when his friend Bill “Bojangles” Robinson died penniless, Sullivan helped to pay for his New York Funeral. Be the first to comment on "Ed Sullivan"